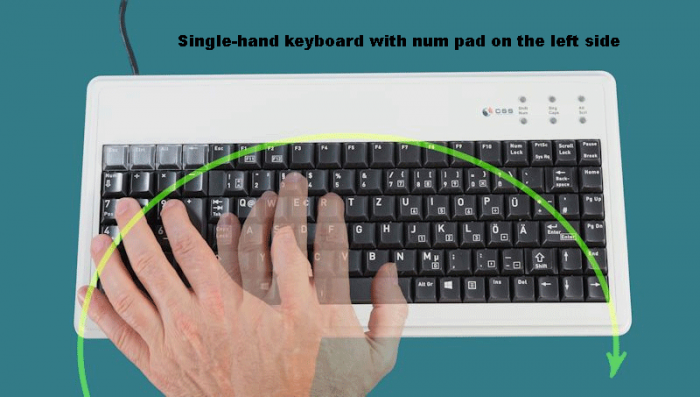 Single-hand keyboard with small radius of movement. With built-in POLLUX Controller. Especially for people who have only one hand at their disposal. Due to the special arrangement, the keys are easy to operate for right- or left-handed users. 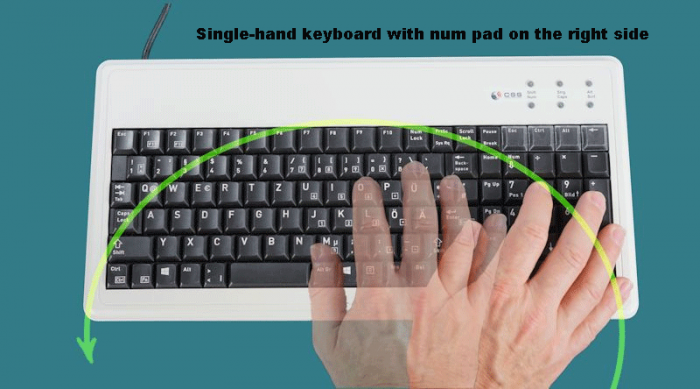 In addition, this keyboard requires only a small radius of movement, ideal for single-handed operation. The built-in POLLUX keyboard controller makes it possible to enter key combinations one-handed, set delay times directly on the keyboard, if necessary and activate a sound for the keystroke. Acrylic glass cover plates are available as accessories. They have round, countersunk holes as finger guidance in case of limited coordination possibilities. 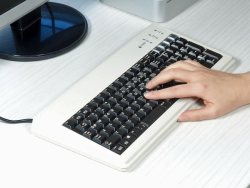 The cover plates are simply attached to the keyboard.